Selecting the best nursing school in North Carolina can be difficult. To make the process easier first look for a school that supports students towards licensure and beyond. A great way to measure this is through NCLEX-RN "pass rates." We have ranked the top 30 nursing schools in North Carolina by analyzing current and historical NCLEX-RN "pass rates", meaning the percentage of graduates who pass the exam, out of the 82 RN programs in the state. Programs reviewed include schools that offer an Associate in Nursing (ADN/ASN), BSN, or Direct-Entry MSN Degree. North Carolina is attracting potential and current nursing candidates by offering higher salaries, more room for advancement, and skill-specific job opportunities. The state is looking at a potential job increase of 3,500 per year over the next 5 years. Combine that with the average registered nurse's salary in the state, which the Bureau of Labor Statistics reports at $60,460, and you can see why nursing has become a desirable career field for many in the region. An Associate's Degree in Nursing (ADN) is one of the fastest ways to attain a nursing license. This 2-year program is offered at a variety of community and technical colleges throughout the state, and will qualify you to take your nursing licensure examination upon completion. ADN programs tend to be less expensive than longer nursing programs which take 4 or more years to complete. There's no shortage of ADN programs in North Carolina, as over 50 schools in the state offer the degree. Proper accreditation is crucial for an ADN program's reputation. National organizations like the Commission for Education in Nursing (ACEN) and the American Association of Colleges of Nursing's Commission on Collegiate Nursing Education (CCNE) are just two of the organizations that offer legitimate accreditations. You should also check to see that your program of choice is approved by the local North Carolina Board of Nursing. To actually receive your nursing license, you'll have to pass the National Council Licensure Examination (NCLEX) once you complete your ADN education. When comparing schools and programs, check the curriculum to ensure that it will prepare you to take and pass the NCLEX. Many schools will even provide statistics on pass rates from graduates of their program. The American Association of Colleges of Nursing reports that 91.8% of new nurse graduates in the state who took the NCLEX in 2015 received a license. As an example, Durham Technical Community College is just one of the many schools in North Carolina that offers an accredited ADN program. You will need to carefully consider a few items when looking into program costs. Tuition is one of the big ones, but you'll also need to factor in things like textbooks, transportation, and other miscellaneous mandatory fees. To give you a general idea regarding cost, the total estimated ADN program fees at Wake Technical Community College in Raleigh are approximately $14,000 for in-state students. If you are looking to complete your nursing training quickly so that you can enter the workforce and start your career, an ADN is ideal. It's also perfect for those who are cost-conscious, as the relatively short program length combined with its availability at smaller colleges tends to make it much more affordable than a longer nursing program. The sheer number of ADN programs available throughout the state of North Carolina make it a snap to find an accredited program in a desirable location. Those who are already Licensed Practical Nurses (LPNs) can enter the realm of registered nursing through a specialized LPN to RN program. Depending on the student's goals, they can choose between the LPN to ADN pathway or the LPN to BSN. For the quickest route to entry-level RN practice, RN to ADN programs in North Carolina are a great option. This program bridges the gap between LPN and RN practice in just a few semesters. For example, Bladen Community College in Dublin offers an RN to ADN program that requires just 33 total credit hours to complete. Those looking to earn a bachelor's degree in nursing may opt for the RN to BSN program pathway. Winston-Salem State University offers an LPN to BSN for students who have at least one year of direct patient care experience in the state. A Bachelor's of Science in Nursing (BSN) is the next step up beyond an ADN, and is great for those who have the time and resources for a longer program. This traditional 4-year degree opens the door to more advanced nursing careers and higher salaries. Many schools also offer shorter RN to BSN programs for those who already hold a nursing license but want to advance to higher nursing positions. 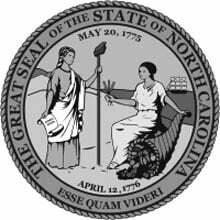 North Carolina boasts over 25 pre-licensure BSN programs, and more than 20 RN to BSN programs. You will want to compare each school and program you are interested in to make sure you find the right fit. 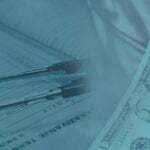 Cost, location, accreditation and program outcomes should all be top considerations. If you already hold a bachelor's degree or higher in another subject, you may want to look for a school with an accelerated BSN program, which is gaining popularity for those looking at nursing as a second career. Pfeiffer University, located in Misenheimer, NC, is an example of a school with an accredited BSN program. A regular, pre-nursing licensure BSN program will take you 4 years to complete. If you are doing an accelerated BSN, you can be done in as little as 15 months. RN to BSN programs, for those who already hold an ADN and want to advance, can take 1-2 years to complete depending on the school and the types of courses already completed. Tuition and other associated fees may fluctuate depending on the type of BSN you are applying to. Remember that you will need to cover tuition costs, as well as extras like textbooks and lab fees. There are usually other mandatory fees that you'll need to pay for that aren't necessarily included with the tuition price, so always double-check to make sure you understand the full cost of the program. For example, the estimated comprehensive tuition rate for a BSN at Queens University of Charlotte is roughly $31,360 per year. If you are looking for a traditional university experience, and know that you want to work at a higher level of responsibility within the nursing field, a BSN is a great choice. The versatility of this type of degree is also a big draw, as you can earn one straight out of high school, or go through a specialized program if you already hold a bachelor's degree or a nursing license. To reach one of the highest and most respected areas of nursing, a Master's of Science in Nursing degree (MSN) is your ideal educational choice. An MSN is for those who want to go into more advanced nursing careers such as Clinical Nurse Specialist, Certified Nurse Midwife, or Nurse Practitioner, among others. Nurses holding this advanced degree also have the potential to earn much more money. 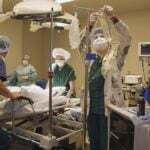 North Carolina has roughly 15 schools that offer a general MSN degree throughout the state, as well as about 7 schools that offer an MSN-Nurse Anesthesia program. Many people wonder how long a graduate MSN program will take to complete, since you must already hold at least a BSN in order to apply. Because these programs are designed for busy working nurses to complete, the length can vary. Generally speaking, it will take roughly 2-3 years to complete your MSN. Keep in mind that these programs sometimes offer flexible coursework in the form of night and/or online classes. Tuition and costs for an MSN can vary depending on the type of specialty you are interested in going into. You'll have to cover the cost of tuition of course, as well as additional fees for things like books and labs. To provide an idea about the cost of an MSN program in the state, the total estimated in-state cost for tuition and fees at the University of North Carolina in Chapel Hill is $43,652.09 for an MSN with a Family Nurse Practitioner specialty. Investing in your career can be done before you even graduate, you can accelerate your learning and earn your degree faster making advancements and opportunities available sooner. Programs are offered throughout the state in more than 5 different colleges and run anywhere from 10 to 15 months in length. If you are currently working and are looking to upgrade your degree there are bridging options as well. Accelerated degree programs are intensive in nature due to the full-time commitment they require, and because clinical hours run consecutively. Entrance requirements and tuitions vary depending on the program, as well as the courses required prior to being accepted. Cape Fear Community College is home to a top of the line RN preparation program. CFCC provides high quality education to individuals in the community seeking a career as a registered nurse and promotes the transition of the licensed practical nurse into the role of the registered nurse. Learn more by visiting the Cape Fear Community College nursing website. Robeson Community College is located in Lumberton, North Carolina and is home to a high rank Associate Degree in Nursing (ADN) program. Those who complete the ADN program at Robeson Community College are well prepared with the knowledge and skills needed to find success on the national licensure examination and beyond. Graduates are equipped with the knowledge, skills, and strategies required to integrate safety and quality into nursing care. Check out the official Robeson Community College nursing program. Western Carolina University in Asheville, North Carolina is surrounded by national forest. BSN and MSN degree students are welcomed to the idyllic area communities as new nurses, and are ready to serve area needs and those further afield. Visit the Western Carolina University nursing website to learn more. 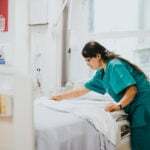 Johnston Community College in Smithfield, North Carolina creates nursing graduates that possess the theoretical and practical knowledge of nursing. With this foundation, JCC nursing graduates are a premier pick for employment. Follow the link to learn more about the Johnston Community College nursing program. College of The Albemarle in Elizabeth City is home to a renowned nursing program. Experienced nurse educators guide students to theoretical and clinical models of thought and research that spark lifelong patient advocacy and professional development. Follow the link to learn more about the College of The Albemarle nursing program. Duke University in Durham, North Carolina is offers one of the state's foremost nursing programs. Duke's BSN and MSN options allow students to excel in scholarship and clinical practice with a strong foundation in the art, science, and leadership skills required for nursing. Learn more by visiting the Duke University nursing website. Wake Technical Community College in Raleigh, North Carolina is located almost in the center of the state. WTCC nursing graduates are welcomed to the profession due to their motivation for continued professional development and their adherence to ethical nursing principles. Follow the link to learn more about the Wake Technical Community College nursing program. East Carolina University in Greenville, North Carolina is home to prestigious BSN and MSN degree tracks for nursing students. Graduates of the programs have an in-depth understanding of healthcare policy as well as patient communications and are a strong addition to the healthcare team. Learn more by visiting the East Carolina University nursing website. Mitchell Community College in Statesville, North Carolina produces nursing graduates who are proactive in their pursuit for community wellness, as well as caring facilitators of individual patient care plans. MCC graduates are a welcome addition to the healthcare field. Check out the official Mitchell Community College nursing program. Caldwell Community College and Technical Institute of Hudson, North Carolina gives its nursing graduates a strong foundation in patient care, community advocacy and managing the requirements of the healthcare team. Follow the link to learn more about the Caldwell Community College and Technical Institute nursing program. Surry Community College offers an ADN program that builds upon the domains of healthcare, nursing practice, and the holistic individual. The goal of the program is to help students successfully pass the NCLEX-RN exam and find employment in the vast global healthcare system. Visit the Surry Community College nursing website to learn more. Brunswick Community College takes pride in their nursing program as their faculty has a deep respect for all students. The ADN program is committed to preparing the next generation of excellent Registered Nurses and allied health professionals. BCC embraces the values of caring, diversity, excellence, integrity, respectfulness, responsibility, safety, and professionalism. Check out the official Brunswick Community College nursing program. Forsyth Technical Community College in Winston-Salem North Carolina produces nursing graduates from its esteemed program that have a solid foundation in nursing and social sciences, as well as honed leadership and advocacy abilities. Visit the Forsyth Technical Community College nursing website to learn more. University of North Carolina (UNC) - Chapel Hill campus fosters strong BSN and MSN graduates. Nurses from UNC are proud of their alma mater and use the skills gained there to propel them forward in professional arenas. Follow the link to learn more about the University of North Carolina - Chapel Hill nursing program. Queens University of Charlotte’s Presbyterian School of Nursing offers BSN pathways for aspiring nurses. In addition to a traditional BSN, they also offer an accelerated BSN (ABSN) for those who have already earned a non-nursing degree, and an RN-BSN program for nurses with an associate’s degree. Follow the link to learn more about the Queens University of Charlotte nursing program. Fayetteville State University is committed to helping students achieve success so they will be prepared to contribute to the profession of nursing and the global society. This outstanding program has thrived through-out their history to meet the needs of Registered Nurses in the region and beyond. Check out the official Fayetteville State University nursing program. Gaston College is home to a high quality Associate Degree in Nursing program. ADN graduates from Gaston College are prepared to confidently enter the field of healthcare knowing they have been instilled with the knowledge, skills, and strategies needed to integrate safety and quality into their care. Learn more by visiting the Gaston College nursing website. Located in Boone, Appalachian State University serves nursing students with multiple quality programs. Its traditional BSN, for example, consists of 2 years of general education and prerequisites, followed by 2 years of core nursing content. The curriculum includes courses in pediatrics, adult health, leadership, and more. Follow the link to learn more about the Appalachian State University nursing program. Morganton’s Western Piedmont Community College offers an Associate Degree in Nursing with a curriculum based on knowledge, skills, and strategies to integrate safety into quality nursing care. Graduates of the program will be able to communicate effectively, make skilled judgments, and educate families and patients to promote optimal health. Visit the Western Piedmont Community College nursing website to learn more. Graduates from Carolinas College of Health Sciences are experienced generalists with knowledge on many specialty areas. The curriculum is designed to give students experience in several different nursing environments. CCHS believes this enables students to experience many different areas before they decide on an area of specialty. Learn more by visiting the Carolinas College of Health Sciences nursing website. Central Piedmont Community College's ADN curriculum provides knowledge, skills, and strategies necessary to integrate safety and quality into nursing care, to practice in a dynamic environment, and to meet individual needs which impact health, quality of life, and achievement of potential. Get all the program details by visiting the Central Piedmont Community College website. University of North Carolina - Wilmington is home to an extolled BSN and MSN degree nursing program. Pre-licensure and transfer students balance key concepts delivered through theory and practice in order to become the best nurses they are capable of becoming. Visit the University of North Carolina - Wilmington nursing website to learn more. Located in Hickory, Catawba Valley Community College offers an associate degree in nursing pathway that combines lecture, lab, and clinical experiences. The program features daytime courses and financial aid availability, and can be completed in 5 semesters. Learn more by visiting the Catawba Valley Community College nursing website. Cabarrus College of Health Sciences was founded in 1942 with the mandate to support the field of health care both locally and statewide. Located in Concord, North Carolina, CCHS graduates are welcomed into the ranks of professional nurses. Visit the Cabarrus College of Health Sciences nursing website to learn more. Davidson County Community College boasts an ADN program using problem-based learning (PBL) as its primary teaching method. PBL means that students work together in small groups to identify and explore patient cases, and then research these issues to discuss later in the group. This program uses minimal lectures as teaching methods, and encourages independence and initiative from students. Visit the Davidson County Community College nursing website to learn more. Those in Hamlet looking for an ADN program have an excellent option in Richmond Community College. The curriculum's approach to nursing care includes treating the holisitic individual in a variety of healthcare settings. Visit the Richmond Community College nursing website to learn more. Lenoir-Rhyne University offers a traditional BSN and an RN-BSN degree, and created the first fully accredited program at a faith-based college or university. These programs strive to educate nursing leaders who influence the quality of healthcare through the use of information technology, clinical judgment, and research. 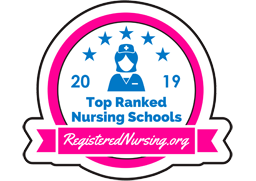 Learn more by visiting the Lenoir-Rhyne University nursing website. The Associate Degree Nursing program at Carteret Community College provides knowledge, skills, and strategies to integrate safety and quality into nursing care. Graduates are confident to practice in a dynamic environment and to meet individual needs which impact health, quality of life, and achievement of potential. Check out the official Carteret Community College nursing program. 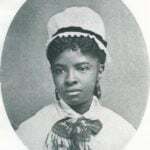 Watts School of Nursing is an integral part of the Durham community. Those who complete the program are ready to make a different in the lives of their patients and their communities. Get all the program details by visiting the Watts School of Nursing website. Fayetteville Technical Community College's competitive ADN program strives to teach students to impact healthcare through quality nursing practice. In just 4 semesters, students will be well on their way to a rewarding career utilizing the skills and techniques learned in the program. Get all the program details by visiting the Fayetteville Technical Community College website.